Stop sending last minute excuse notes scribbled in a rush on a ragged and ripped lined sheet of paper! Make them think - WOW that mom has it together! Editable: (Student, Teacher, Date, Parent). Not Editable: I was Sick-Blah. Absent Note. Background color and artwork. 3. Save and / or open the file in Acrobat Reader. FULL PAGE - Transportation Change | School Excuse Note | Note for Teacher | 8.5" x 11" Editable Digital PDF - You type your info & print! FULL PAGE - Late Note / Tardy Note | School Excuse Note | Note for Teacher | 8.5" x 11" Editable Digital PDF - You type your info & print! FULL PAGE - Early Dismissal Note | School Excuse Note | Note for Teacher | 8.5" x 11" Editable Digital PDF - You type your info & print! I absolutely love these notes. 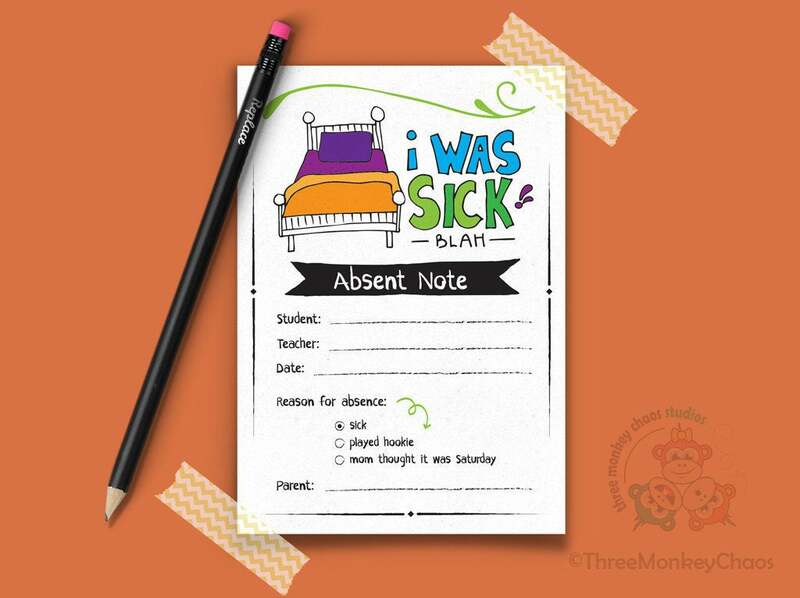 Cute excuse note and very funny! Have already used it 3 times for my kids' absences! NEUTRAL Play Date Invitation | Summer Birthday | Printable Invite | Editable Digital PDF - You type your info & print! GIRL Play Date Invitation | Summer Birthday | Printable Invite | Editable Digital PDF - You type your info & print! Play Date Invite | Printable Invitations | Sleepover, Movie, Park, Playdate | Editable Digital PDF - You type your info & print! July 4th Invitation | Fourth of July Printable Invite | Editable Digital PDF - You type your info & print!